Product prices and availability are accurate as of 2019-04-18 01:55:45 UTC and are subject to change. Any price and availability information displayed on http://www.amazon.com/ at the time of purchase will apply to the purchase of this product. 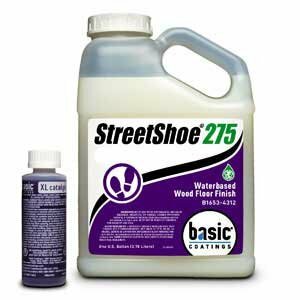 The fastest-curing finish on the market, StreetShoe® is the industry benchmark for waterbased finishes. Ideal for all commercial, sports and residential applications. 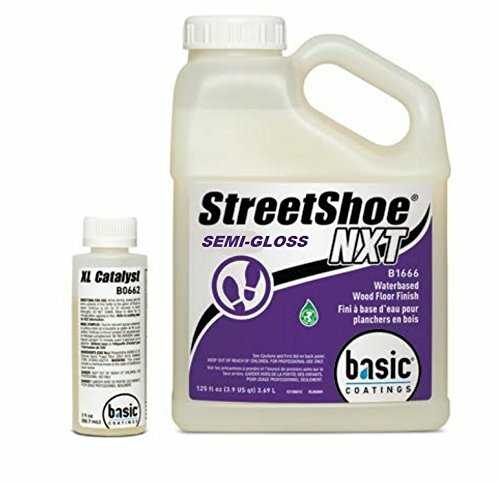 1 Gallon Size StreetShoe® is the toughest and most chemical resistant finish on the market. This fast curing formula allows for quicker access to the floor. Only Basic® Coatings offers a waterbased ? nish in four sheens that can be applied in all environments - commercial, sports and residential. StreetShoe® adds beauty and protection to any environment, and its UV inhibitor minimizes sunlight-related color changes. StreetShoe's two-component formula offers the durability and performance needed for commercial, residential and sports ?oors. THE FASTEST CURING AND TOUGHEST FINISH ON THE MARKET StreetShoe is perfect for commercial facilities because of its fast cure times and durable properties. A coat of ? nish can be applied at night, and traf? c can resume the next day. Also available in Gloss, and Satin. Fastest cure available; 90% cured in 24 hours. Low VOC and low odor. No waste; can be recatalyzed. Superior scratch and scuff resistant.